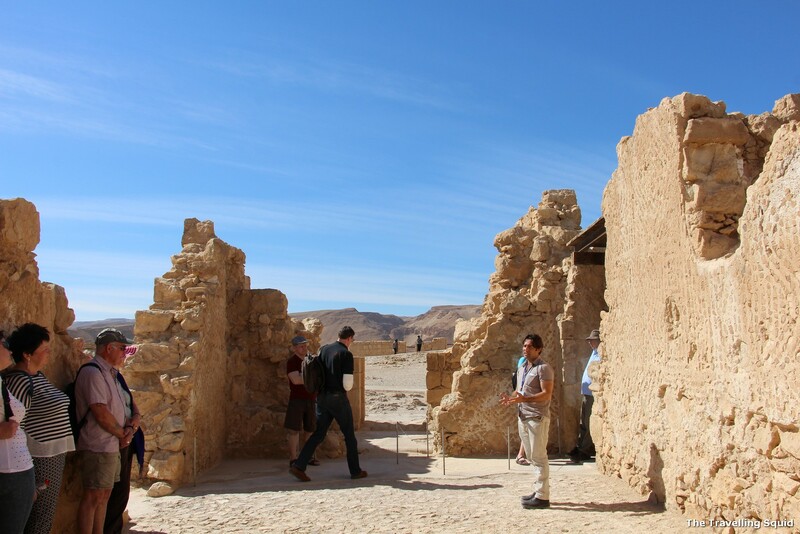 Our day tour to Masada in Israel happened quite by chance. 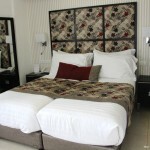 We wanted to visit the Dead Sea, and there were tour packages going to the Dead Sea as well as Masada. We decided to go with that package, since it was touted by the hotel staff to be quite an interesting destination. I wished we spent a little more time at the Dead Sea, but the Masada tour was pretty interesting. The desert plains in the distance. And that’s the dead sea. 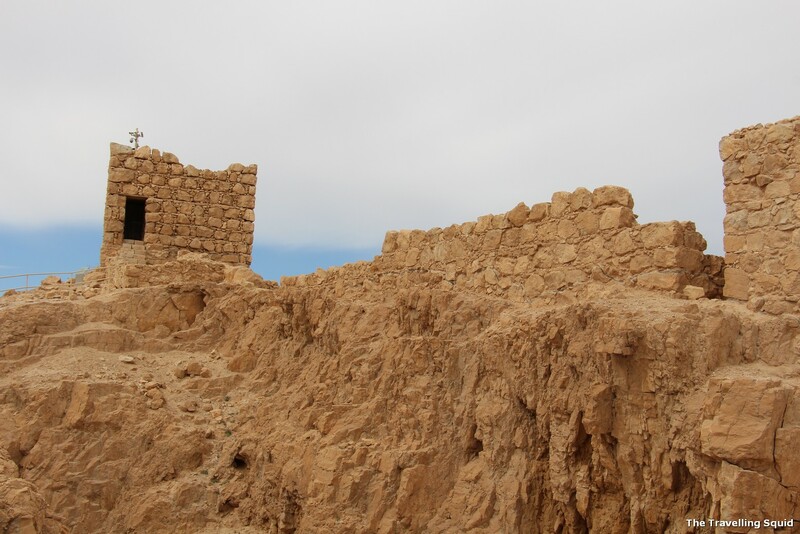 In my head, I tried linking Masada to some of the biblical stories which I had read – and the only familiar name I found is Herod the Great, the king who ordered the execution of Jesus. 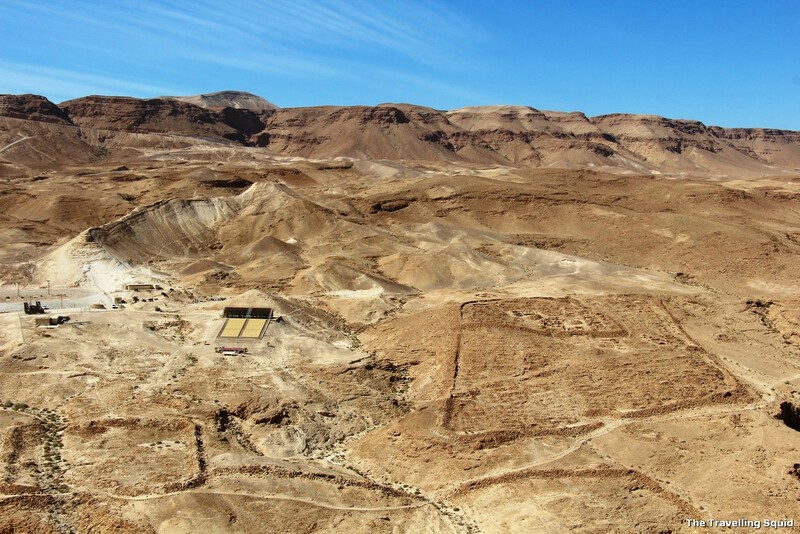 According to Wikipedia, Herod built palaces for himself on the mountain and fortified Masada between 37 and 31 BCE. 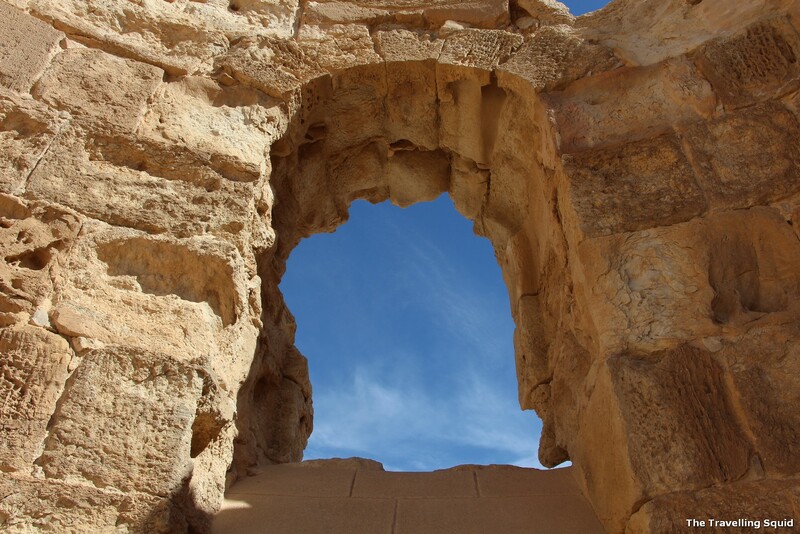 The siege of Masada by troops of the Roman Empire at the end of the First Jewish–Roman War ended in the mass suicide of 960 people – the Sicarii rebels and their families hiding there. They also burnt grain in the store, to prevent their enemies from having it. There’s a cable car to take you up. The tale brings a chill to your spine. 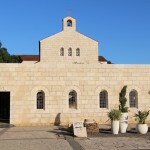 According to the tour guide, committing suicide was not permitted according to Jewish law. So the rebels took turns killing one another, so that only one person had to commit suicide towards the end. 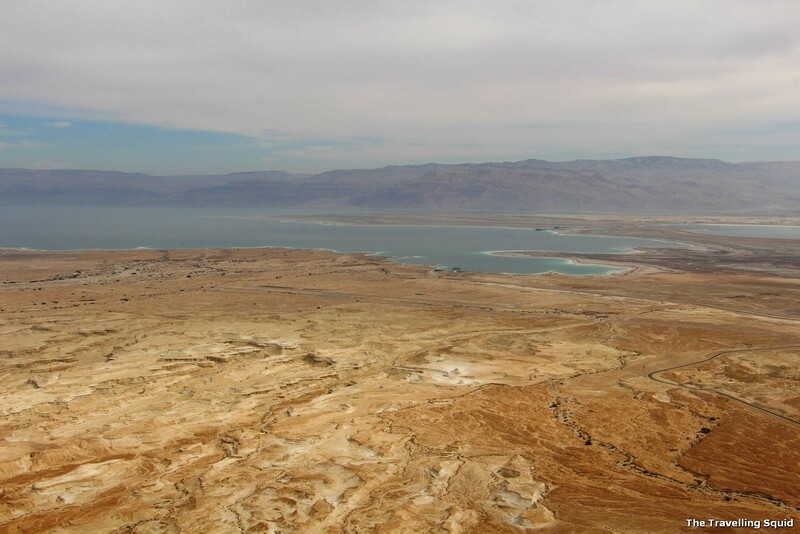 It’s literally desert terrain, right up to the dead sea. Unlike Egypt, the sand looked smoother. 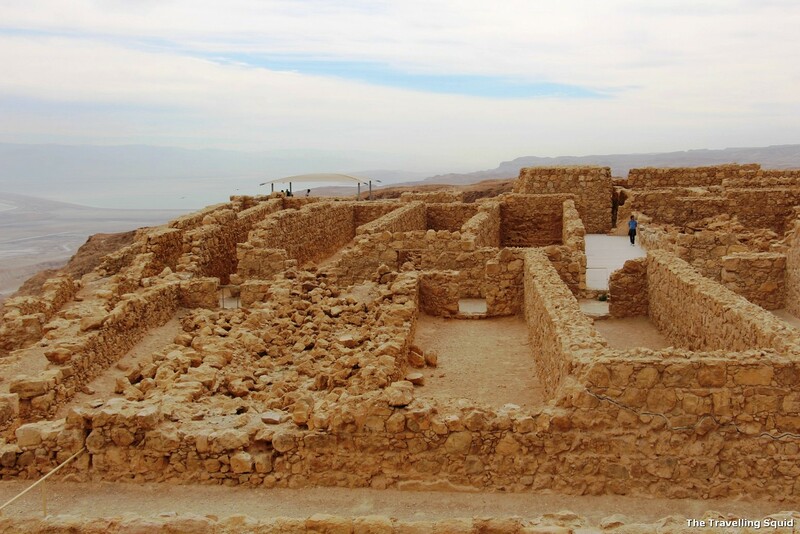 Masada is an ancient fortification in the Southern District of Israel situated on top of an isolated rock plateau, akin to a mesa, making it an ideal location for a fortress. 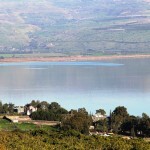 It is located on the eastern edge of the Judaean Desert, overlooking the Dead Sea 20 km (12 mi) east of Arad. The trails going up. I would recommend that you take the cable car up instead, as it’s quite a long walk. 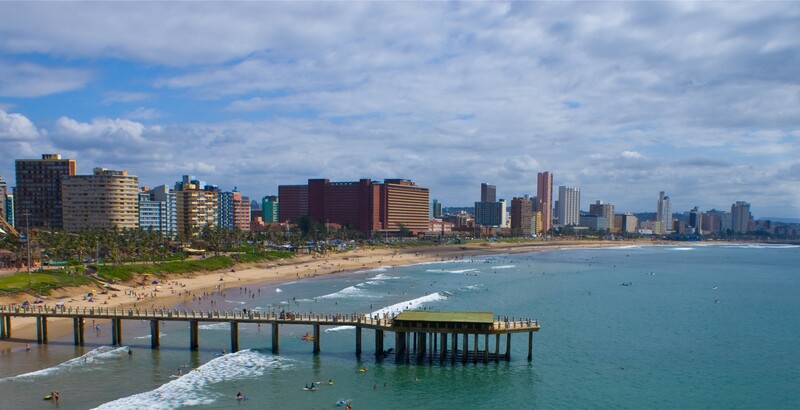 It was easy for us, as we went along in a little tour bus. The tour guide also helped us with buying tickets for admission, and for the cable car which brings you to the top of the fortress. It’s a good choice especially since the hike up appeared to be rather sweat-inducing. (See photo above). It was spring, and we were in sweaters. It got pretty warm shortly and we had to shed the layers. 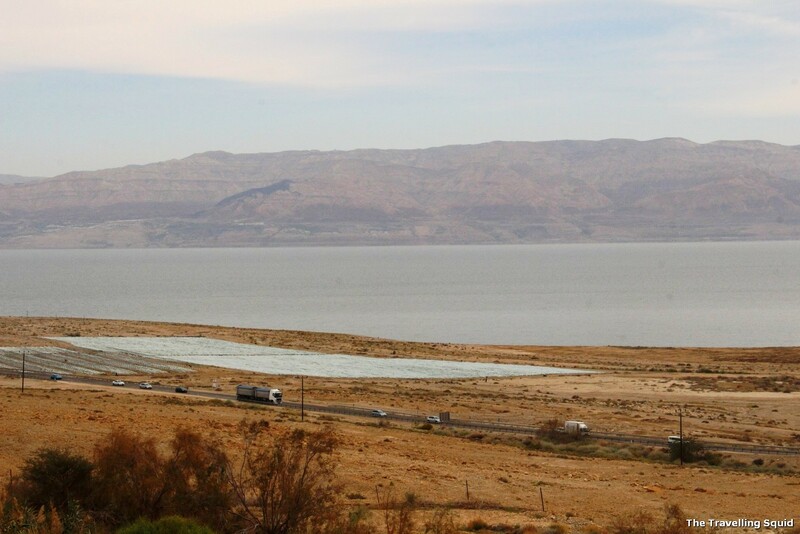 I guess that temperatures were higher as we were some distance below sea level, given that we had sight of the Dead Sea, which is supposed to be the lowest point on Earth, on dry land. Remnants of what used to be a fortress. 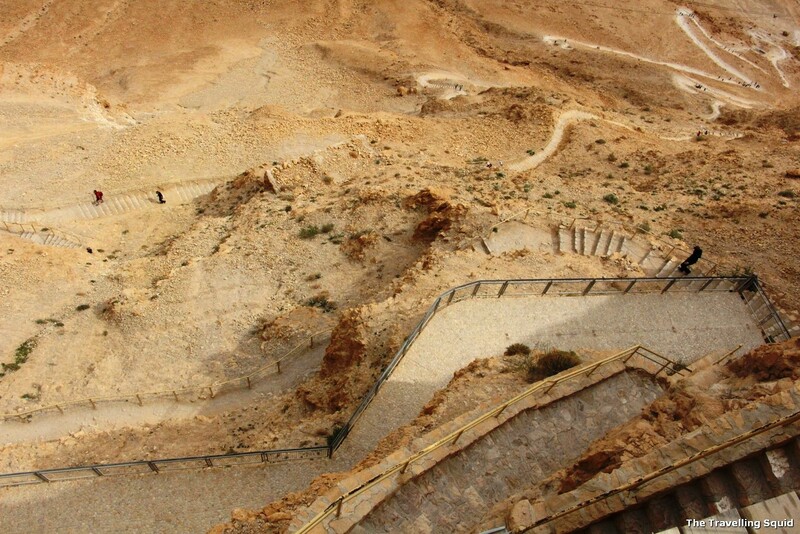 A day tour to Masada in Israel – Some of the rocks of the fortress have crumbled. Solar panels – and what used to be buildings carved out. Window to a blue sky. It can get hot – even in Spring. Guide giving an explanation, while they hide in the shade. 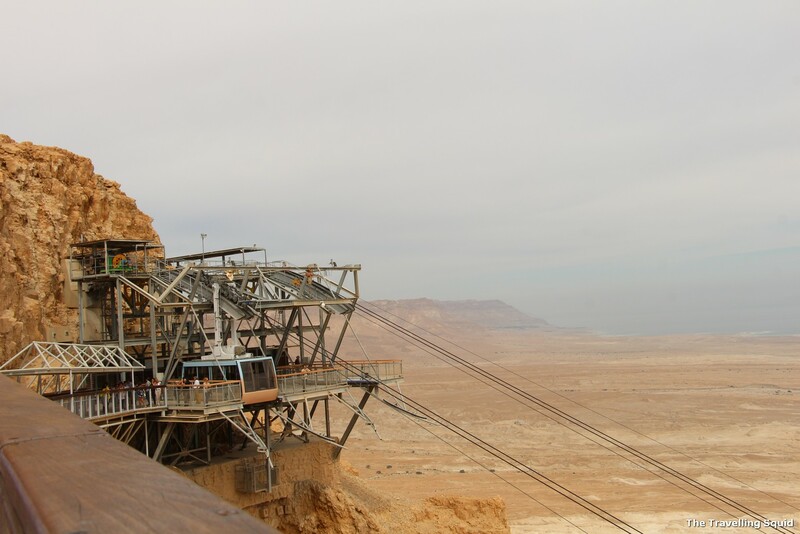 I had not heard of Masada before I went on this tour. It’s an interesting place, especially if you’re into desert landscapes and fortresses. 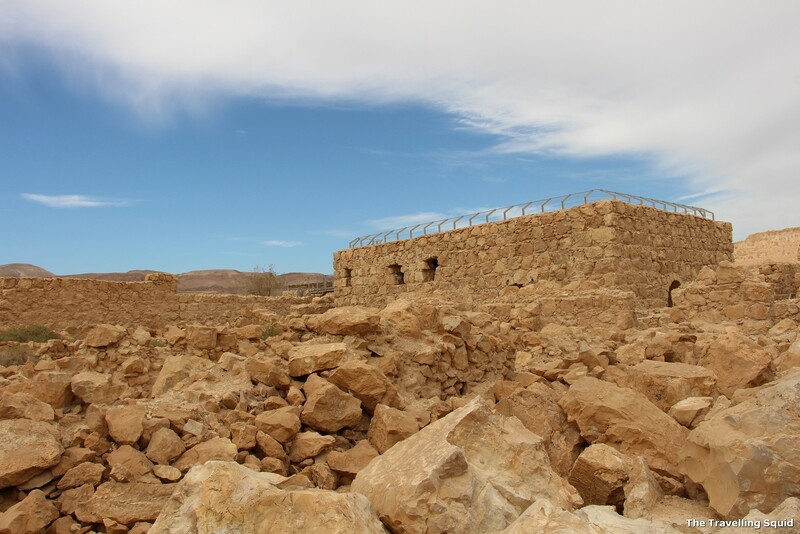 The story behind it really brings the place to life, as you are able to observe the desert plains from the top of the ‘fortress’ and imagine what was it like to be sieged. 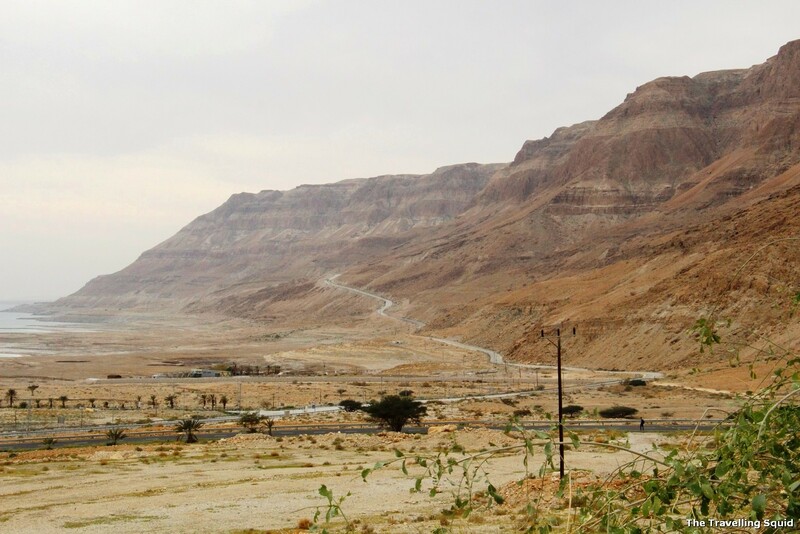 Is Masada worth a day trip? It’s not a destination I would proactively want to visit, but it was a good to have I suppose, given that it was in the tour package. 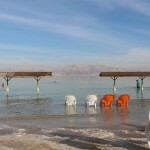 Even though our time at the Dead Sea was shorter, I enjoyed it much more. 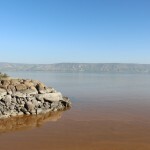 I’ll be writing more on our experience at the Dead Sea – stay tuned!